Extreme weather can strike at any time, and when you have storm damage on your Sharpsburg roofing, it’s critical that you take a few important steps right away following the storm to prevent long-term damage. Keeping your roof safe often means preparing in advance to prevent storm damage from occurring in the first place. You should be inspecting your Sharpsburg roofing at least once a year to identify potential damage and get it fixed, but if you haven’t done that in a while and you know a storm is coming, be sure to check for damage and make small repairs now so they won’t turn into major problems down the road. While you are up there, check for cracked, missing, or broken shingles, and rusted or damaged flashings. Seal up any openings so they won’t leave room for water to leak in. The gutters might not be very noticeable on the side of your home, but they play an important role in protecting the roof during a storm. 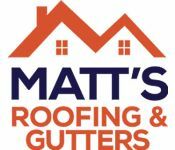 If gutters are clogged or damaged the water coming from the roof will get backed up and overflow. Backed up water sitting on your roof shingles leads to damage, while overflowing water can damage the foundation of your home. Once the storm has passed, make it a priority to inspect the roofing right away or hire a Sharpsburg roofing contractor to inspect. You want to discover damage immediately so you can repair it before the next storm. It’s best to hire a professional so they can spot even small or inconspicuous damage that the average homeowner might not notice. Planning and preparation are critical for preventing damage to your Sharpsburg roofing. Regular maintenance and inspection help you stay apprised of what is happening up on top of your home, and while you can’t control the weather, you can control how prepared your home is for the inevitable storm that will come to Georgia.